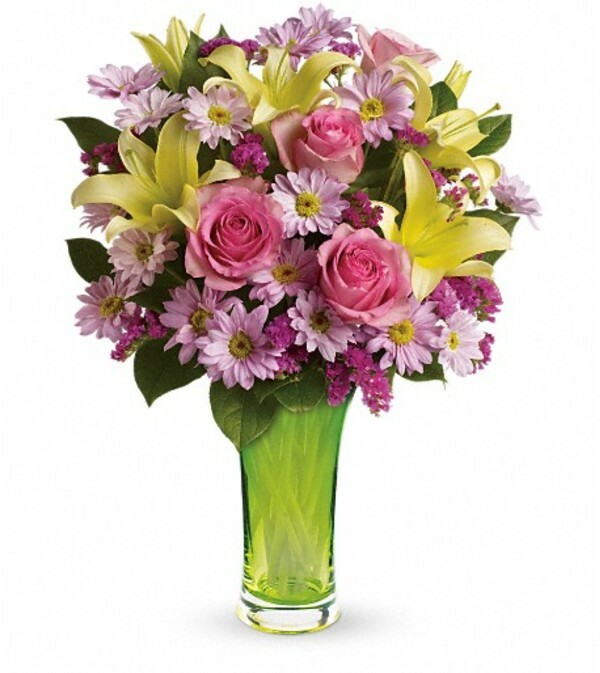 Ring in spring with roses and lilies arranged in a Simply Sublime glass vase. 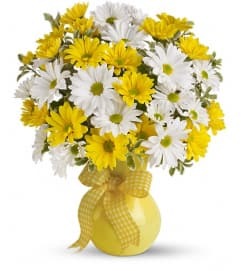 A wonderful way to brighten up the season! Pink roses, yellow asiatic lilies, lavender daisy spray chrysanthemums and pink sinuata statice are accented with assorted greenery. 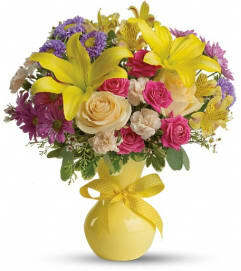 Delivered in a Simply Sublime vase.